More than half of the world’s mobile users are firmly in the Android camp and the percentage is still growing. In certain Asian markets, Android OS powers more than 90% of all phones – which means this platform is actually better for globally-based monetization strategies. It doesn’t take a genius to figure out how to play the numbers and make money in such a huge pool of users, even with the level of competition that mobile apps regularly face. Other tips cover issues such as perceptions of mass appeal, imitation of major players, aggressiveness of monetization efforts, and more. 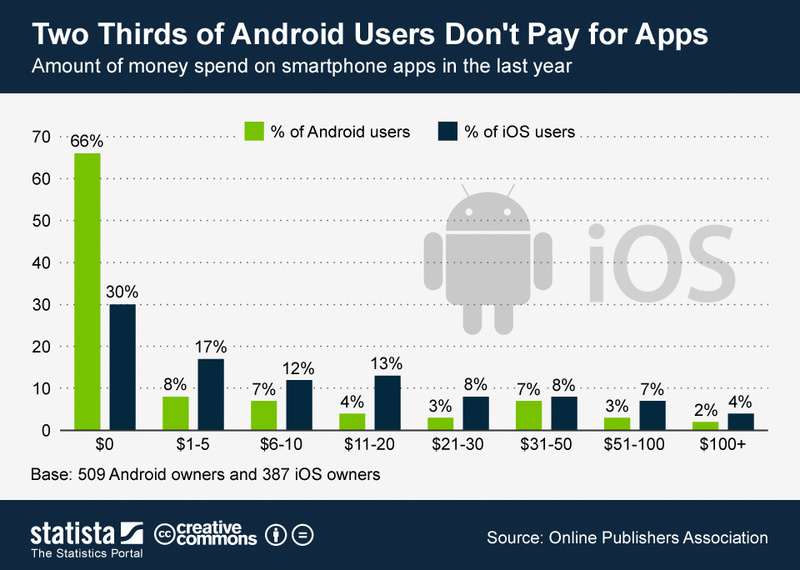 In other words, it's more of a list of things not to do than it is a list of ways to rake in the cash, but either way, it is encouraging for Android developers. Take a look at the full list to get all the details. Or, if you're still concerned, just switch over to iOS and mine Bitcoin. Problem solved.